Present day's C Programmer has to master the complexity of the language as it is the language of choice in engineering, science and game programming. The programmer also has to be content with it's usage in environments such as Linux, Windows or the internet. 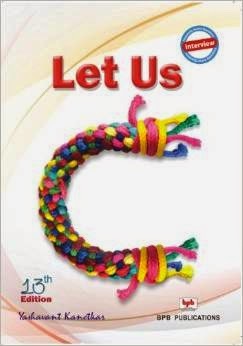 Yashavant Kanetkar's Let Us C does not assume any background of programming and is designed for such readers. It is a standard book and begins with the basics. Slow and steady, it picks up the pace so that the reader can get a hang of more complicated concepts at a later stage. This book follows the concept of teaching through examples, inviting concepts in an easy manner. It also has been designed in such a way, that each chapter imprints a lasting impression on the reader. The 13th edition begins with the C Language basics and it's programming and then moves on to explain loop, decision and case control structures. Apart from these, there is also descriptive details about console input and C preprocessor, strings, arrays, functions and pointers. While the first few chapters are basic concepts, the last five comprise of complicated topics that are explained in a comprehensive manner. 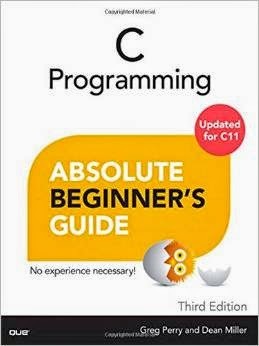 The book is also cramped with numerous examples of C programming that help the reader in understanding the language better. Published in 2013, under the publishing umbrella, BOB Publications, Let Us C is available in paperback. The 13th edition comes in Chinese, Korean, Japanese, Hindi, Gujarati and US editions, as compared to the previous editions that were only published in English. Contains a new chapter that discusses Frequently Asked Questions that can help freshers in interviews. Updated and revised to integrate the new revolutions in C programming.